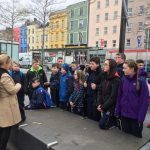 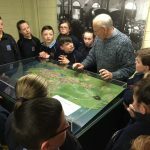 Mrs Quinlan’s Sixth Class went on a Walking Tour of Cork yesterday. 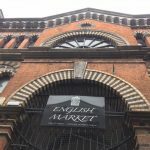 Read on to learn more about their trip. 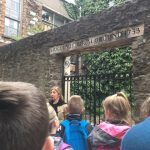 Our Tour guide Noreen Murphy Sheehan showed us and told us about all our local History of Cork back in the 17th and 18th Century- ‘The Golden Period’ in Cork’s History when wealth was increasing and Merchants of Beef, Butter and Beer were expanding out of the old city walls and building big houses to live in to show off their wealth. 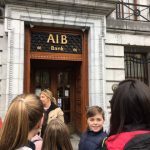 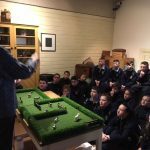 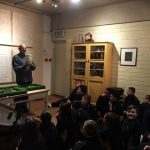 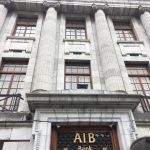 We toured through the English Market, visited AIB Bank on 66 South Mall with its limestone exterior and sandstone and lavish marble interior, we learned about listed buildings in Cork (we saw lots along the Couth Mall and Patricks St). 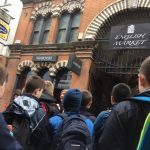 We passed Connolly Hall (named after the Trade Unionist and 1916 leader James Connolly). 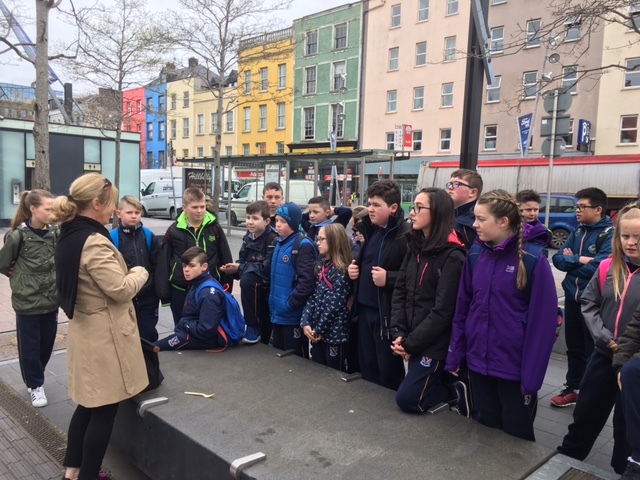 We visited Port of Cork where the South and North Channels of the River Lee merge, and learned about the importance of the river to accommodate large ships to export and import cargo since the 17th Century in Cork. 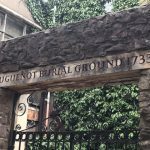 We visited the French Quarter in the City (French Church St/Carey’s Lane) where we learned about the Huguenot Burial Ground. 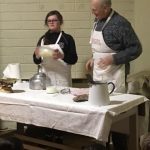 We finished our tour in the Butter Market where Don, our guide there told us all about Butter, the making of it and its history of trade in Cork. 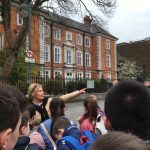 We really enjoyed learning about our beautiful city.